Every year DISCOVER sorts through the scientific and technological accomplishments of the past 12 months and assembles a list of the coolest experiments, most brilliant discoveries, and most world-changing events. 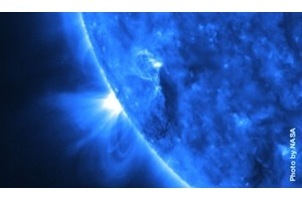 Here is the full list of the biggest 100 science and tech stories of 2011, divided up into seven topical sections. We'll be publishing the stories in each topic over the rest of the month. Click on the orange headlines to read more. 1. Faster than the Speed of Light: Runaway subatomic particles seem to be breaking the cosmic speed limit. If the results hold up, physicists have some explaining to do. 14. Astronomers Watch Black Hole Devour Star: Researchers luck out, getting a front row seat for stellar annihilation. 20. Helium's Antimatter Twin Created: Scientists catch particle only created once every 28 billion times nuclei are smashed together. 26. The New Physics of Bicycles: Why do riderless bikes stay upright? What we thought was wrong. 32. Where's the Higgs? : The Large Hadron Collider is supposed to solve the top mysteries in physics. That has not happened yet. Joseph Lykken explains why not, and what to do next. 62. Star Birth Seen in Action: Astronomers glimpse stellar creation. 65. America's Atom Smasher, 1983-2011: The Illinois-based Tevatron closes after an auspicious--but all too short--career. 82. Could Random Airplane Boarding Speed Your Trip? : The quickest way to climb aboard a plane may be the least ordered. 93. Super-Rocket Tested: NASA has begun testing its high-powered new engine. 95. Computer Builds A Perfect Galaxy: Nature did it in 13 billion years. Computer does it in 9 months. 2. Altered Immune Cells Block HIV: Lab-made proteins are revolutionizing AIDS therapy by retrofitting the immune system so it resists HIV. Human trials are already under way. 10. Immune SuperCells Purge Leukemia: A new therapy turns leukemia patients' own cells into cancer assassins. It may one day help fight other cancers, too. 13. Can Gut Bacteria Stop the Spread of Malaria? : Feeding mosquitos probiotic-infused nectar could make them resistant to the disease. 22. Y. Pestis, Mother of the Black Plague: The bacterial strain that wiped out half of 14th century Europe, scientists found, soon died out itself. 27. Babesia Parasite Taints the Blood Supply: Blood transfusions have infected 159 patients with the malaria-like parasite. 28. Hepatitis B Boosts Malaria Vaccine: Fragments of hepatitis B, which put the immune system on high alert, make a new malaria vaccine the most successful yet. 38. Killing Cancer From The Inside: Three new studies suggest ways to home in on cancer cells during treatment, leaving surrounding healthy tissue unharmed. 47. Ending Dengue: Injecting mosquitos with harmless bacteria keeps them from spreading the dengue-causing virus. 54. Attack of the Salad Sprouts: Sprouts contaminated with E. coli killed 50 people and sickened more than 4,000. 55. Coffee Vs. Cancer: Drinking one extra cup of coffee a day is linked to a 3 percent reduction in cancer risk. 56. Private DNA Companies Tap Crowds to Speed Disease Research: Drawing on its large consumer base, 23andMe identifies two genetic variants associated with Parkinson's Disease in just 18 months. 58. Sperm Gene Points to Infertility Cure: Researchers have pinpointed a surprisingly common gene that may cause infertility, offering new avenues for treatment. 60. New Treatments Slow Deadly Skin Cancer: Two treatments that boost the immune system improve survival rates and slow cancer growth in late-stage melanoma patients. 64. Stem Cell Research Hits More Painful Setbacks: Scientists had high hopes for reprogrammed stem cells, which could be derived from a patient's own tissue and grown into any type of cell in the body. But two studies this year highlighted major issues with reprogrammed cells, making their path to the clinic look longer than ever. 69. Cell Phones Alter Brain Metabolism: A 50-minute phone call boosts metabolism in the brain regions closest to the antenna, including areas involved in language, decision making, and emotional processing. 70. Safer Prenatal Tests for Genetic Diseases: A simple maternal blood test can detect Down syndrome five weeks earlier than existing tests, with no risk to the fetus. 76. Environment Gets More Blame for Autism: A new study suggests that environment accounts for more than half of autism risk, while genes are responsible for about 40 percent. 78. Napping Neurons Explain Sleep-Deprived Blunders: Tiny clumps of neurons doze off, even while the brain as a whole is awake. 81. Inflammation Might Help Defeat Diabetes: Scientists have long tied diabetes to inflammtion—but a new study shows that an inflammatory protein can cure the disease in mice. 87. First Posthumous Nobel Awarded: Immunologist Ralph Steinman won the Nobel Prize in Medicine days after his death. 90. Chronic Lyme Patients Validated: A new study uncovered biomarkers for Lyme disease symptoms that persist even after treatment. 94. HPV Vaccine--Now for Boys: The CDC recommended that preteen boys, as well as girls, get the HPV vaccine. 98. Brain Signal For Awareness: Minimally conscious and vegetative patients show different patterns of neural activity. 99. Study Deepens the Mystery of Chronic Fatigue: A new study suggests that the XMRV virus may not be behind chronic fatigue syndrome, after all. 5. Social Media Stoke Unrest and Ignite Web-Rights Debate: When the explosion in social networking helped topple repressive regimes last year, governments worldwide took notice, stepping up efforts to limit public Internet access. 11. Scientist of the Arab Spring: At Caltech, Ahmed Zewail is a world-class chemist. In Egypt, he is a national hero. 44. New Pentagon Rules Blur Line Between Digital and Physical Warfare: Under the US's new strategy, the military can prepare for cyber warfare just as it prepares for wars on land. 59. The Mismeasure of Stephen Jay Gould: Looking deeper into Stephen Jay Gould's claims this year has revealed he was guilty of the same sins he decried in others. 73. Quake Science on Trial in Italy: Can scientists be held accountable for deaths in a quake they didn't predict? 97. CIA Said to Exploit Vaccine Drive in Pakistan: To get DNA in their hunt for Osama bin Laden, the CIA may have gone too far. 3. A Supercomputer Wins Jeopardy! : When IBM's game-playing computer trounced two trivia experts, its victory was hailed as a landmark for intelligent machines. A Jeopardy! champ explains why the real winners were humans. 8. The Man Who Gave Us Less for More: Impatient Futurist columnist David H. Freedman examines the crushing success of Steve Jobs. 31. First Stealth Helicopter Crashes Into Public View: New secret weapon emerges: A chopper with quiet rotors and radar-absorbing skin. 34. World's Smallest Electric Motor: Single-molecule motor is 60,000 times thinner than a human hair. 40. Computer Model Mimics Infant Cognition: Babies may be able to help teach computers common sense. 42. The Too-Sure Thing: Overconfidence can help explain wars, financial disasters, and collapsed civilizations. Social scientist James Fowler explores how such a destructive social trait manages to thrive. 50. The Net Watchman: Think of him as a cop with the world's biggest beat: Security guru Jeff Moss is in charge of keeping the entire Internet stable, resilient, and safe. 57. Invisibility Cloak: Two advances usher the age of the invisible within sight. 71. Presenting the No-Focus Camera: New start-up's advance allows you to go from fuzzy to focused after snapping a photo. 72. The Bird Watcher: Peter Vesterbacka on the secret to making the most popular, ridiculously addictive video game in history. 86. Silicon's Next Wave: A re-worked form of silicon may be the next smallest, fastest thing in computer chip design. 92. 3-D Chips Make Computers Faster: New waffle-like construction of chips does more with less. 4. New-planet Boom Faces a Budget Bust: You might expect think NASA would race to build on the success of the Kepler telescope. Instead, it is coming dangerously close to abandoning the search for other worlds. 6. In Memoriam: With great ambivalence we note the passing of the first and only reusable spaceship, the space shuttle, on July 21, 2011. Our prayers are with NASA. 12. China Launches Its First Space Laboratory: The would-be superpower advertises its technical and economic prowess with a giant flying billboard. 16. Astronomers Get First Look at Giant Asteroid: "Seeing the surface up close for the first time, in its true glory, is amazing," says Dawn project lead scientist Christopher Russell. "We're in awe." 23. The Moon Had a Long-Lost Twin: Computer simulations show the "big splat"from an ancient collision would have created "a pretty interesting spectacle for about 24 hours," says researcher Erik Asphaug. 25. Mercury's New Face: NASA's Messenger probe delivers impressive new views of the inner-most planet, which is in some respects harder to reach than distant Pluto. 33. New Survey Softens Fears of Asteroid Impacts: Reports of our impending collective death have been somewhat exaggerated. 37. Today's Forecast: Cloudy, 80 Percent Chance of a Sunspot: The next time the Sun releases a destructive magnetic belch, we may have some warning to protect the electric grid. 41. The Ozone Satellite, 1991-2011: It proved the damage caused by CFCs, helped predict climate changes, and saw the beginning of the recovery of the ozone layer. 52. Superstorm Sweeps Across Saturn: It made even the biggest storms on Earth look puny. 53. Did Earth's Gold Come From Outer Space? : Money never grows on trees, but precious metals do sometimes fall from the sky. 66. Found: Stars Cool Enough to Touch: But if you were close enough to touch, you'd be entirely squished by the gravity. 75. Is That Water Flowing on Mars? : There may be water--and even life--in them there hills. 79. Untethered Planets May Outnumber Stars: The hunt for exoplanets takes another turn for the surprising. 88. A Map of the Violent Cosmos: A new map shows the hotspots of energetic activity in our galaxy and beyond. 96. NASA's Scrappy Successors: Private spaceflight companies draw ever closer to putting people into space their own way. 18. Genome of Vegetables Remains Active After You Eat Them: In a new twist on the old saw, "you are what you eat," microRNAs from rice were observed surviving digestion and altering human gene expression. 19. Killer Chimps Overhunt Monkeys: Humans are not the only primates that hunt other primate species to the edge of extinction. 24. Gut Microbes Establish Your Identity: Like blood types, you've got an enterotype: one of just three kinds of gut ecosystem. 30. New Fossil Casts Doubt on Oldest Bird: A new Cornish hen-sized creature, discovered by Chinese paleontologists, throws the traditional chronology into question. 35. Fossil Stirs Debate Over Dinosaurs' Last Days: A horn discovered in southeastern Montana may be the remains of one of Earth's very last dinosaurs. 43. Skin Cells Could Help Revive Rare Species: Turning them into eggs and sperm, courtesy of stem cell techniques, could make all the difference. 45. Have Humans Left a Permanent Scar on the Geologic Record? : The Anthropocene is a man-made era, an increasingly vocal group of scientists holds. 48. Strongest Repellent Found: It's 100,000 times stronger than DEET. 49. Arsenic-Based Life Shakes Up Science (Again): Rosie Redfield takes scientific controversy out into the open. 51. Stone Age Art Studio Unearthed: Early humans were able to plan and knew more about chemistry than we'd thought. 61. Aging Effects Reversed in Mice: Eliminating dying cells keeps a mouse healthy, wealthy, and wise. 63. How Many Species Inhabit the Earth? :It's a tough question, but we now have the best answer yet. 67. Gamers Solve HIV Riddle: Computer geeks figure out the shape of AIDS-related virus in 10 days. 68. Tools Imply Early African Exodus: A newly discovered cache of stone tools in the United Arab Emirates suggests that early humans left Africa earlier than we'd thought. 74. Meet the Megavirus: Scientists find the world's largest virus. 77. Amber Reveals Origins of Feathers: Stunning feathers show up in fossil-rich rocks. 80. Neanderthal DNA Boosts Your Immune System: Did early matings with Neanderthals increase our ability to fight disease? 85. Meet the Grazing Hominid: Researchers discover the so-called "Nutcracker man" ate mostly plants, diverging from fellow primates. 91. Unmasking Earth's First Life: Paleontologists discover what may be the oldest fossilized bacteria ever found, but questions remain. 7. Japan Quakes; Nuke Power Stays Steady: This year enthusiasm for nuclear power in some developed nations seemed to vanish after Japan's nuclear disaster. But while those countries recoil from atomic energy, others are committing to a nuclear future. 9. The Year's Worst Natural Disasters: In 2011, at least 10 major weather disasters struck the United States alone, inflicting more than $45 billion in damages. Here, a survey of the epic floods, droughts, and other natural calamities that terrorized the planet. 15. Lessons From the Great Japanese Quake: The magnitude 9 earthquake that shook Japan on March 11 dragged parts of the country 15 feet eastward and moved some seafloor transponders up to 230 feet, the largest earthquake-induced surface displacement ever recorded. 21. New Fracking Worries: Methane Leaks, Radioactive Water: Yes, hydraulic fracturing can actually contaminate water, study confirms. 29. Yellowstone's Oil Spill: ExxonMobil pipeline bursts beneath the Yellowstone River in Montana, spilling 40,000 gallons of oil into the pristine area. 36. Forests Stage A Comeback: Some forests have rebounded... but the news isn't all good. 39. Ocean Microbes Clean Up Gulf Mess: Natural bacteria help eliminate methane from the Deepwater Horizon blowout, but more bad stuff remains behind. 46. Solar Power in Peril: Solar in trouble after a recent mini-boom. 84. Wild Weather, 1; Sports, 0: Extreme weather events have helped diminish many sporting events. 89. Weather Moves Continents: Accelerated monsoons in Himalayas have weathered rock, increasing speed of India's tectonic plate. 100. Arctic Ice Hits Record Lows: Study records lowest measurement of ice yet; environmentalists (and polar bears) not pleased.